CSU research has found effective marketing, networking and adaptability to market changes are the keys for success of Indigenous business. Charles Sturt University (CSU) research has found effective marketing, networking and adaptability to market changes are the keys for success of Indigenous business. 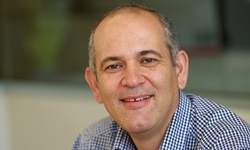 The research, led by Professor of Economics Mark Morrison from CSU's Institute of Land Water and Society, involved 360 Indigenous businesses in urban, regional and remote centres across mainland Australia, making it the first large-scale study of its kind. "We felt there was a pressing need to explore the potential of Indigenous entrepreneurship to significantly address the substantial and entrenched socio-economic disadvantage experienced by Indigenous people in Australia," said Professor Morrison. "The development of successful businesses is an important part of the strategy for improving the quality of life for Indigenous Australians and their communities." Professor Morrison said the research highlighted the diversity of Indigenous businesses and the key role they play in the community by providing jobs, pathways to self-determination and new possibilities for youth. "Indigenous entrepreneurs are motivated to achieve income and opportunity not only for themselves, but for their family and their community," he said. "These businesses are not just about revenue, they are an important source of Indigenous employment and also a big contributor to the community in a range of other ways, such as leadership, mentoring, sponsoring community activities and supporting community groups." The research involved a survey of more than 320 Indigenous businesses and in-depth interviews with 38 entrepreneurs. Interviews were also conducted with government officials responsible for Indigenous business development, Indigenous community representatives and leading academics. "The findings indicate that business success, as measured by growth, number of employees, sales revenue and longevity, depends crucially on the adoption of a range of sound business practices," said Professor Morrison. "Business growth also depends on getting appropriate support to help improve these practices, including a tertiary education, involvement in business networks, mentoring, having a spouse and potentially accessing finance. "However, it is apparent that many Indigenous businesses do not consider that some of these critical business practices and forms of support to be as important as other aspects of running a business, such as having a quality product and one's own motivation to succeed. "A new model of Indigenous business development emerged that involves helping early start Indigenous business improve a range of business practices through in-depth skill development, mentoring and business network engagement. "In this model, skill development would not solely focus on financial skills; businesses need a wider range of skills such as in marketing, business planning and information technology that need to be taught by mentors from several disciplinary backgrounds. "It was also interesting to note that Indigenous businesses are very open to new technologies and had much higher rates of adoption of internet and social media than other small businesses in Australia." Fieldwork also revealed a lack of access to bank finance was commonly considered a major constraint. "Most Indigenous businesses relied on personal savings or on borrowing funds from family members. Very few had bank loans," said Professor Morrison. "Much more needs to be done to bridge the great divide between Indigenous entrepreneurs and bank finance in Australia." Professor Morrison said there's a need for new ways to facilitate Indigenous Australians to take the risky move into entrepreneurship and to support newly-established business. "Indirect policy support to improve Indigenous outcomes in education and employment will clearly assist in this regard," he said. "But these policies need to be supplemented with new policy initiatives to more effectively tap the potential of Indigenous entrepreneurship in Australia, particularly with respect to income support during the establishment phase of the business." The $450,000 research project was funded through an ARC Linkage grant with partners Indigenous Business Australia (IBA) and Cultural and Indigenous Research Centre Australia (CIRCA). The full report, 'Determining the factors influencing the success of private and community-owned Indigenous businesses across remote, rural and urban Australia', is available here. Background notes on the key findings are here. The investigators on the project were: Professor Mark Morrison, CSU, Professor Jock Collins, UTS, Dr Branka Krivokapic-Skoko, CSU, Dr PK Basu, CSU, Ms Tracey Trudgett, CSU, Mr David Brudenall, IBA, Dr Rebecca Devitt, IBA, Ms Anne Redman, CIRCA and Ms Sonya Pearce, UTS.